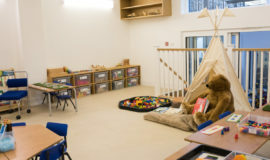 Successful learning comes from inspired teaching and at Falkner House, we hire and retain the best teachers in London. Excellence is fostered among newly qualified staff from the experience and guidance of the senior team and at Penywern Road they are all passionate about teaching boys. 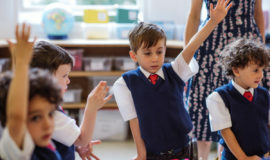 The teachers know all about how to enthuse boys: the need for small group teaching and delivering a bespoke approach for each child and they also understand that boys may show brilliance in one area of work and very deep but brief periods of concentration, and they understand that choosing just the right topic is critical! We look for each boy to be learning at his maximum, but equally, all the best teachers know to go with the grain. Good teachers teach understanding rather than process and good teachers know their pupils intimately and know what can be taught (and learnt) when. Success in exams cannot be produced just by rapidly moving through a syllabus; instead comprehension and confidence are key. 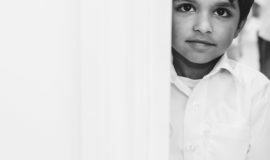 Children are not routinely streamed into separate ability groups, however, we believe passionately in small group and one-on-one teaching where we can focus on the needs of the individual boy. 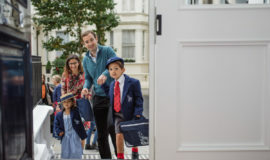 Sport at Falkner House is an integral part of the children’s lives and boys are taught by specialists and have regular access to to the facilities at either Holland Park or Battersea Park. Games afternoons cover a range of sports including football, mini rugby, hockey, athletics and cross-country. Within P.E sessions at school boys are also be taught martial arts and gymnastics. Swimming is at the new state-of-the-art facility at Latymer School with their team of dedicated swimming coaches. 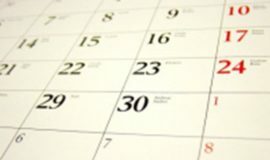 Regular games fixtures are scheduled against schools such as Wetherby, Norland Place and Thomas’. At whatever level, we encourage a life-long love for sport, the values it embodies and the opportunities it allows. Boys are surrounded by music at Falkner House. Music lessons twice weekly covering music history, the lives of the great composers, major works and different genres enriches boys lives. From Year 1 upwards boys may choose to take lessons with one of our specialist musicians with a wide choice of instruments. Boys are able to play in assembly, informal and formal concerts and learn how to perform solo and in concert with others. We believe passionately that this develops confidence and self esteem. Performing should be enjoyable! We value the confidence Drama instils, the teamwork it develops and the fun it allows. From the Reception Nativity to the Year 6 Leavers Play, all boys have a chance to shine.